Casino high rollers come in all sorts of shapes and forms. And casinos must be inventive in order to attract them through their doors and be classed as a high roller casino. On this page we are going to be listing the casinos who we feel are suitable for high rollers. It could be that the bonuses on offer really suit a high roller or that the casino offers great cashback schemes or other incentives. Or it could be that a casino is able to and willing to handle the large transfers a high roller is likely to make. It is pointless winning countless thousands if it would take forever and a day to withdraw! Many people also get confused as to what a high roller casino bonus actually is. A 500% bonus for example is more likely to appeal for a low roller whereas a 50% bonus for large deposits is better as long as the wagering requirements are fair. For these reasons we are by no means listing every casino under the sun as most are just not able to accommodate high volume players. We are also going to be splitting this page up into various sections as the casinos offer very different benefits to the high roller. A cashback offer be it on the welcome bonus or on all losses is in our opinion worth more than a deposit match bonus. That is our opinion and is a feeling that seems to be growing in popularity among players. Here are some excellent cashback casinos for you. Some casinos offer potentially huge bonuses as standard once you sign up, be that for everyone or exclusively through Yesnocasino. We understand the needs of the players so are always looking to negotiate special deals with our casinos, be that high roller bonuses, low roller bonuses, free spins or cashback. Every player is different and we want to offer bonuses that suit all types of player. Here are some high roller bonuses we have negotiated you can get as standard upon signing up. The following casinos have a standard bonus as listed below but if you contact live support they can instead switch you to their special high roller casino bonus scheme instead. Before you start playing at the casinos below you should contact live support to discuss what they can offer you. These casinos can handle high roller casino players and will tailor a VIP scheme to fit your situation. Casino players fall into two main categories, the casino whore and the loyal player. There are merits to both of course and it is personal preference. The bonus whore is well documented and you can find hundreds of casino welcome bonuses on our website, so now we’ll explain quickly the benefits of sticking to one or just a small number of casinos. If you find a casino you like, they usually offer you regular reload bonuses, free spins and the like. But once you have played at a casino for long enough or with enough capital, the casino may make you a VIP (or you can contact the VIP team yourself). Being a casino VIP can open up a number of doors, from better reload bonuses, lower wagering requirements, cash back offers and even simply free cash. The various offers are numerous so you have to make a decision at some point over whether you are going to carry on chasing every casino bonus you can find, or whether you are going to settle down with the on or few casinos you love. HighRoller Casino Review (The key facts): HighRoller Casino is a gamification casino coming from the GIG Group and running on the popular iGaming Cloud Platform. While it may not be the high roller casino that we would define but with such a healthy company behind it, high rollers need not fear that the casino cannot afford to pay them. So on that score it serves its purpose. What is more interesting (in particular for low rollers actually) is the innovative gamification system being put into place. With a rich urban landscape, games and bonuses outside of the norm, social gaming and custom avatars, quests and game play, this could be a very nice addition to the online gaming market. Sadly though the initial verdict is style over substance – meaning while it looks great, the website is not user friendly at all, has lots of bugs, slow loading times, game and website crashes. Not to mention the fees and the choice of picking the lower RTP version of slots where the provider offers this to the casinos. All in all not really a top casino we can recommend heartily. Restricted Countries 3.1.3 you are not a resident of Australia, Afghanistan, Algeria, American Samoa, Antarctica, Belgium, Bulgaria, China, Comoros, Cyprus, Denmark, Ecuador, Estonia, Ethiopia, Faroe Islands, France, French Guiana, French Polynesia, French Southern Territories, Greece, Greenland, Guadeloupe, Guam, Hong Kong, Hungary, India, Indonesia, Iran, Iraq, Israel, Italy, Jordan, Korea, Kuwait, Libya, Malaysia, Martinique, Mayotte, Myanmar, Montenegro, New Caledonia, Northern Mariana Islands, Pakistan, Philippines, Poland, Portugal, Puerto Rico, Réunion, Romania, Russian Federation, Saint Barthélemy, Saint Martin (French part), Saint Pierre and Miquelon, Singapore, Slovakia, South Africa, Spain, Svalbard and Jan Mayen, Syria, Turkey, United Kingdom, United States Minor Outlying Islands, United States of America, United States Virgin Islands, Wallis and Futuna, Yemen, Aland Islands, Czech Republic, Slovenia. Currencies Highroller Casino accepts deposits and withdrawals in the following currencies: EUR, NOK, SEK, CAD, GBP. GBP is only available to residents of the UK. Banking Besides Visa, Mastercard, and popular E-wallets such as Neteller or Skrill, Highroller Casino has partnered with a number of localized payment providers to provide you with a solid range of top up options. Once logged in, head over to the Top Up popup to check what is available in your country. Withdrawals are done via the same method as the deposit, until the deposit amount is covered. Besides Bank transfer, Visa, Mastercard, and popular E-wallets such as Neteller or Skrill, Highroller has partnered with a number of localized payment providers to provide you with a solid range of deposit and withdrawal options. Once logged in, head over to the cashier section to check withdrawal methods available in your country. Withdrawal Limits 4.3.4 For your protection, in any twenty-four hour period You may only withdraw the maximum amount of Euro 50,000 unless a larger amount has been agreed by prior arrangement. HighRoller Casino launched in November 2017 and is being touted as a breakthrough in Gamification Casinos. Coming from the highly acclaimed team behind Rizk we can only hope it lives up to the hype. It certainly looks the part already! Trigger Stings and loot coins from others…Exchange them in the shop for Spins and Freebies. Level Up to new districts for Huuuge rewards: Free Spins, Real Money, and fill up that trophy shelf. Play your favourite online casino slots & table games on your MAC / PC, Tablet & Mobile devices. Welcome Bonus: Sign up for Free Coins, a Free Sting and a juicy welcome package: Top up €50 and play with €150 + 50 Free Spins. Coins: Get free Coins every day – login or not – but stay on the move to hold onto them! Prizes: Regular promotions, exciting prizes and collectibles to add to your trophy shelf. Avatar: Get and customize your own badass avatar. Style up like you mean business! Technology: Cutting edge animated interface, there’s nothing quite like it. Universe: Pigeons, explosions, newpapers, candy. Expect the unexpected! Highroller Casino was founded on the premise that the online casino world deserves more than senseless spins from a faceless shop. Embark on a thrilling journey of heists and rewards, a world where play and life collide. You are not alone here. Hundreds of others are vying for the wins, lurking in the shadows, and will loot your coins at the first occasion. But sooner or later you’ll get your revenge, and – guess what – you will enjoy it. Online Slots, Roulette, Blackjack, live dealer, skill games, the biggest online jackpots, whatever floats your boat, chances are you’ll find it here. And more games are added every week. If you can’t find what you’re after, chat to our backup crew, something could be done. Highroller Casino is regulated in the EU via Malta Gaming Authority (MGA) and UK Gaming Commission (UKGC) licenses. Games RNG (Random Number Generator) are also certified in the EU. All financial transactions are encrypted, and Highroller Casino strictly adheres to the EU data protection legislation. Highroller Casino is backed by Gaming Innovation Group, an innovative online gaming company listed on the Oslo Stock Exchange. Welcome to Metrocity, a dark metropolis full of thrills, heists, games and rewards. Play casino games, pillage your way through Metrocity districts and accumulate a wealth of rewards in the process. Play your favourite games for real money and move forward on the progress map. * Most slot games power you at high speed, other games speed varies. Check out the bonus terms for more info. As you progress through Metrocity districts, you will trigger looting opportunities – Stings – and unlock level-up rewards on the map. Coins and rewards await you. As a Metrocity resident, you get a coins allowance every day, come rain or come shine, and whether you login or play, or not. Stings and levelling up will also get you coins. Once you’ve stashed enough, head over to the shop and exchange them for goodies. Beware though: Doze off for 5 days or more, and active Highrollers might loot your coins in a Sting when you’re not looking. Stings happen at regular intervals on the map. Reach one of these to trigger a Sting planning countdown. Once your Sting is ready, head over to your rewards area, choose your target, and loot coins away! Spins, Cash, Coins, Freebies…Anything goes! Once done, sneak your way into the next district, never to look back. Your next playground is home to even more Stings and Rewards. Mega Spins @ €3 per spin. Bonuses are a great way to get introduced to the casino, experience new games and keep those districts fun for everyone. Unfortunately some scoundrels can try to misuse bonuses which leads to less coins in the street for you, a real Highroller. Until Metrocity can get Batman on retainer, the following rules are needed to help keep everyone on the straight and narrow. The support crew will review all cases individually to spot the honest mistakes from monkey business. 2. A minimum deposit of €10 (100kr, $10, £10) is required to claim the Welcome Bonus. 4. Any bonus deposit and possible winnings connected to the bonus will be locked to casino until the associated wagering requirements have been completed. 5. All casino bonuses need to be wagered a minimum of 35 (thirty five) times before the funds can be withdrawn. For 150% (or above) bonuses have to be wagered 40 (forty) times, 200% (or above) bonuses have to be wagered 45 (Forty Five) times. 7. Unless otherwise stated, the winnings from any free spins received as part of a bonus on Highroller must be wagered a minimum of 35 (thirty five) times before the funds can be withdrawn. 8. If any part of your Welcome Offer or further bonuses is not credited automatically, please contact our backup team immediately on live chat so that it can be credited manually. If the deposit has been played before the bonus is credited, the bonus will not be granted. 9. Please allow up to five minutes for any bonus to be credited. 10. Unless otherwise stated, players from the following countries are not eligible for the first deposit bonus and/or any other deposit bonuses: Poland, Bulgaria, Greece, Hungary, Romania, Croatia, Ukraine, India, Pakistan, Indonesia, Russia, Czech Republic, Portugal, Slovakia, Latvia and Thailand. 11. If not stated otherwise, each offer is valid only during the date it was originally sent. 13. You can request a withdrawal from your deposited amount prior to meeting the wagering conditions. However, the bonus amount and associated winnings will be forfeited. 14. Unless otherwise stated all deposit and free cash bonuses expire after 30 days. Bonus funds and winnings will be forfeited upon expiry of the bonus. 15. Unless otherwise stated any free spins received as part of a deposit bonus will expire with 3 days. 16. For any bet, placed bets are deducted from your cash balance. If no cash balance is available then the bet placed is deducted from your bonus balance. 17. Until the play through requirements have been met, the maximum bet that can be placed is €5 (50kr, 50SEK, $5, £5). This includes double up wagers after the game round has been completed. For example, wagering winnings from a game round on red/black. 18. Any bonus can be removed prior to any wagering conditions being met. Please contact Highroller backup squad at crew@highroller.com, who will kindly oblige. 19. Only one bonus can be claimed at one time. Deposit related bonuses cannot be ‘stacked’. 20. Game winnings from ‘free spin’ or ‘bonus’ features initiated with bonus funds but completed after the bonus has been wagered, lost or forfeited will be removed. 21. The use of bonus funds purely to progress through the bonus stages of games such as, but not limited to, Scrooge, Devil’s Delight, Champion of the Track, Castle Builder and Robin Hood can result in the winnings from the final bonus round voided. 22. Any level-up game awarded during progression through the Highroller districts must be claimed and played from the ‘Rewards’ section within 7 days of being active, otherwise any rewards will be forfeited. 23. Highroller reserves the right to void any bonuses and/or winnings obtained by fraudulent behaviour. 24. Highroller reserves the right to permanently close the account of players who repeatedly attempt fraudulent behaviour or breach bonus terms on more than one occasion. 25. Highroller reserve the right to update these rules at any time. This article is about the gambling term. For other uses, see High roller (disambiguation). A high roller is a gambler who wagers large amounts of money. High rollers often receive lavish “comps” from casinos to lure them onto the gambling floors, such as free private jet transfers, limousine use and use of the casinos’ best suites. Casinos may also extend credit to a player to continue betting, offer rebates on betting turnover or losses, and salaries of employees may also contain incentive arrangements to bring in high rollers. The definition of a high roller varies. 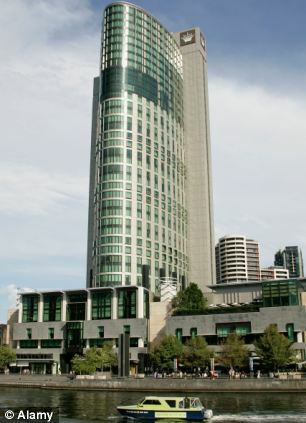 At Crown Casino in Australia, for example, it involves bringing between A$50,000 and $75,000 to the table. 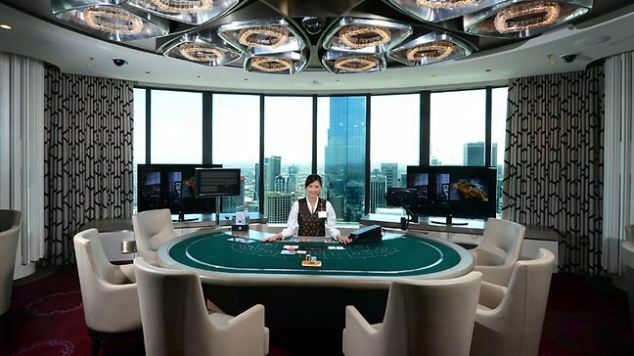 High roller casino players often have very high table limits allowing the high roller exclusive use. Casinos compete on bet limits. In Australia limits of A$300,000 are common, in Las Vegas they are between US$150,000 and $300,000, and in Macau they are up to US$500,000. Only casinos with “substantial financial firepower” can accommodate high-stakes gambling due to the “volatility” of results. One example of a high roller is an Australian man who turned over more than A$1.5 billion in a 14-month period from 2005, becoming “one of Crown’s largest Australian players but not in the same league as [its] top international players”. There have been many cases around the world where high rollers have committed fraud to provide funds for gambling beyond their means, after becoming seduced by the lifestyle. Rich guy that has a nice car, nice clothes and buys everything he likes. 1. One who spends freely and extravagantly, as for luxuries or entertainment. 2. One who gambles rashly or for high stakes. 3. An organization, such as a large corporation, that spends or invests liberally or rashly. They bet millions of pounds on the turn of a card or the drop of a roulette ball and are the gamblers that exclusive casinos love to court. When they are on a losing streak, the so-called Whales — the big players in the gambling world — can lose a fortune in a few short hours, boosting their host’s profits. Recently the world’s high roller casino players appear to have been on a winning streak – and London’s top casinos have been hit. Just before Christmas one of the capital’s gaming clubs lost £12 million to one wealthy sheikh in a couple of hours. The accounts of another casino — Aspinall’s — show that profits have been hit by an unusually high number of wins by its clients. After a run of “bad luck” the casino has been put up for sale by its owner Damian Aspinall, the son of the late John Aspinall, bringing an end to the family’s interests in high end gaming. Last year Aspinall’s Club lost £4.5 million and revenue was down to £20 million – £16 million less than in 2008. The Aspers Group, which runs the Mayfair club and three modern casinos in Newcastle, Swansea and Northampton, reported an overall loss of £12 million on top of a £19.4 million deficit the previous year. It was also in breach of its loan agreements with the Royal Bank of Scotland and its total debts climbed to £55 million – up £15 million in just 12 months. Last July it signed a refinancing deal with the bank, reducing the RBS loans from £33 million to £24 million. A report, signed by Mr Aspinall last July blamed the London casino’s losses on the success of the high rollers winning big at its tables. All casinos’ profits are based on the drop and win ratios — how much clients bring to the club and how much of this ends up in the club’s coffers. The Gambling Commission, the watchdog that oversees gaming in Britain, said the six “high end” casinos in the West End saw clients buy £1 billion worth of chips to play at the gambling tables last year. Out of this huge sum, they lost £151 million to the casinos — a “house win” or “percentage drop” of 15 per cent. According to the Aspinall’s directors’ report, the company’s “London casino sustained a prolonged low hold percentage of half the normal rate for almost the entire financial year”. With it paying nearly £2 million for the lease on its Georgian mansion in Mayfair — where John Aspinall opened the club in 1992 — and facing group staff costs of £17 million and gaming duty of nearly £10 million, the big wins of the its wealthy clients “had a direct effect on the profitability of the business”. After the disastrous year, Aspinall’s bank has imposed strict covenants on the group which require regular checks on its financial performance and the possibility that its loans could be called in. In the 1960s it was dukes, earls and cabinet ministers, who made their way to the exclusive gaming tables in Mayfair. Aspinall’s Clermont Club, which John Aspinall sold in 1972, is believed to have been the basis for Casino Royale in the James Bond novel by Ian Fleming. Today’s Whales tend to be secretive Chinese, Russian, Asian and Arab billionaires who can lose millions at the tables without breaking sweat. The Saudi Arabian entrepreneur Adnan Khashoggi has been a regular big player at the top London clubs for many years. Other names whose win/loss positions have reputedly moved in the multiple millions in a single night include the Malaysian tycoons Tan Sri Lim Kok Thay and Quek Leng Chan, and Indonesia’s Putera Sampoerna. Other prominent members in the West End include Pini Zahavi, a football “super-agent”. Now Damian Aspinall, a regular in the gossip columns after a string of relationships with glamorous women, including the TV presenter Donna Air, with whom he has a daughter, and the model Naomi Campbell, has decided to sell Aspinall’s. He confirmed the scale of the club’s debts but said it was not unusual for a casino business. He said: “You are talking about a business that has £250 million a year drop (the money staked by its clients). So it is a bit circular. You are looking at unlucky years. That is the business we are in. The most recent available accounts for the club are for 2009 and Mr Aspinall said the club was now doing better. He said that despite his plan to move away from the elite clubs founded by his father such businesses would not die out. “I think there is a future,” he said. Years ago, I was mildly obsessed with understanding casino economics and cheats, and read a bunch of books on how to win (or at least lose slowly) at a casino. The consensus among the experts I read was to realize that most skill-based casino games are only mildly “negative expectation” (that is, if you play them with perfect statistical strategy, you’ll lose a little money over time). Also, most casinos distribute “comps” (freebies) to make up about forty percent of your estimated losses. These losses are calculated by pit bosses who keep an eye on consistent gamblers and observe the size of your normal bet and the tightness of your play, then make a guess at how much you’re losing per hour, and multiply that by the number of hours you spend at the table (or at least, they did — some casinos now use automated stored-value wagering cards that eliminate the need for estimation). The secret to converting the negative expectation game to a positive expectation game was to trick the pit bosses. Play very slowly when the pit boss isn’t watching, making the minimum bet on each hand and losing as slowly as possible. When the pit boss comes by to look, start playing fast and loose, and increase your bet-size. If the ruse works, the pit-boss will be tricked into comping you enough freebies to make your play pay, even if only by a little. The problem with this method is that it means that you can get a “free holiday” in Vegas or Atlantic City only if you’re willing to devote most of that holiday to standing at a blackjack table or video-poker machine playing hand after hand after hand, for eight or ten hours a day, playing with perfect, machine-like precision, making no mistakes at all (get the odds wrong and your profits can disappear in a single hand), in order to win a few nights in a hotel, show tickets, buffet passes, and some golf. Most people capable of that sort of consistent activity and focus can find gainful employment that pays substantially more than they’d earn at the tables and just buy the vacation outright, without having to squander their holidays trying to beat the house. But Don Johnson went much further. As a high-roller, Johnson was often solicited by the big casinos to come and play at their tables. As the recession deepened, the offers got sweeter. They offered him “discounts” on his losses — cash rebates of a fixed percentage of the money he lost at the tables. Johnson is also a monstrously focused, skilled blackjack player. So he would negotiate these excellent deals from the casinos, bring a huge stake with him, sit at a blackjack table, and play at high velocity, making zero mistakes, for extremely long stretches. With perfect, high-speed play, he could convert his small positive expectation — thanks to the discount he’d negotiated with the house — to multimillion-dollar winnings. Sophisticated gamblers won’t play by the standard rules. They negotiate. Because the casino values high rollers more than the average customer, it is willing to lessen its edge for them. It does this primarily by offering discounts, or “loss rebates.” When a casino offers a discount of, say, 10 percent, that means if the player loses $100,000 at the blackjack table, he has to pay only $90,000. Beyond the usual high-roller perks, the casino might also sweeten the deal by staking the player a significant amount up front, offering thousands of dollars in free chips, just to get the ball rolling. But even in that scenario, Johnson won’t play. By his reckoning, a few thousand in free chips plus a standard 10 percent discount just means that the casino is going to end up with slightly less of the player’s money after a few hours of play. The player still loses. But two years ago, Johnson says, the casinos started getting desperate. With their table-game revenues tanking and the number of whales diminishing, casino marketers began to compete more aggressively for the big spenders. After all, one high roller who has a bad night can determine whether a casino’s table games finish a month in the red or in the black. Inside the casinos, this heightened the natural tension between the marketers, who are always pushing to sweeten the discounts, and the gaming managers, who want to maximize the house’s statistical edge. But month after month of declining revenues strengthened the marketers’ position. By late 2010, the discounts at some of the strapped Atlantic City casinos began creeping upward, as high as 20 percent. Dozens of spectators pressed against the glass of the high-roller pit. Inside, playing at a green-felt table opposite a black-vested dealer, a burly middle-aged man in a red cap and black Oregon State hoodie was wagering $100,000 a hand. Word spreads when the betting is that big. Johnson was on an amazing streak. The towers of chips stacked in front of him formed a colorful miniature skyline. His winning run had been picked up by the casino’s watchful overhead cameras and drawn the close scrutiny of the pit bosses. In just one hand, he remembers, he won $800,000. In a three-hand sequence, he took $1.2 million. The basics of blackjack are simple. Almost everyone knows them. You play against the house. Two cards are placed faceup before the player, and two more cards, one down, one up, before the dealer. A card’s suit doesn’t matter, only its numerical value—each face card is worth 10, and an ace can be either a one or an 11. The goal is to get to 21, or as close to it as possible without going over. Scanning the cards on the table before him, the player can either stand or keep taking cards in an effort to approach 21. Since the house’s hand has one card facedown, the player can’t know exactly what the hand is, which is what makes this a game. As Johnson remembers it, the $800,000 hand started with him betting $100,000 and being dealt two eights. If a player is dealt two of a kind, he can choose to “split” the hand, which means he can play each of the cards as a separate hand and ask for two more cards, in effect doubling his bet. That’s what Johnson did. His next two cards, surprisingly, were also both eights, so he split each again. Getting four cards of the same number in a row doesn’t happen often, but it does happen. Johnson says he was once dealt six consecutive aces at the Mohegan Sun casino in Connecticut. He was now playing four hands, each consisting of a single eight-card, with $400,000 in the balance. The house’s hand showed an upturned five. Arrayed on the table before him were the four eights. He was allowed to double down—to double his bet—on any hand, so when he was dealt a three on the first of his hands, he doubled his bet on that one, to $200,000. When his second hand was dealt a two, he doubled down on that, too. When he was dealt a three and a two on the next two hands, he says, he doubled down on those, for a total wager of $800,000. But the story was even bigger than that. Johnson’s assault on the Tropicana was merely the latest in a series of blitzes he’d made on Atlantic City’s gambling establishments. In the four previous months, he’d taken $5 million from the Borgata casino and another $4 million from Caesars. Caesars had cut him off, he says, and then effectively banned him from its casinos worldwide. Fifteen million dollars in winnings from three different casinos? Nobody gets that lucky. How did he do it? The first and most obvious suspicion was card counting. Card counters seek to gain a strong advantage by keeping a mental tally of every card dealt, and then adjusting the wager according to the value of the cards that remain in the deck. (The tactic requires both great memory and superior math skills.) Made famous in books and movies, card counting is considered cheating, at least by casinos. In most states (but not New Jersey), known practitioners are banned. The wagering of card counters assumes a clearly recognizable pattern over time, and Johnson was being watched very carefully. The verdict: card counting was not Don Johnson’s game. He had beaten the casinos fair and square. It hurt. Largely as a result of Johnson’s streak, the Trop’s table-game revenues for April 2011 were the second-lowest among the 11 casinos in Atlantic City. Mark Giannantonio, the president and CEO of the Trop, who had authorized the $100,000-a-hand limit for Johnson, was given the boot weeks later. Johnson’s winnings had administered a similar jolt to the Borgata and to Caesars. All of these gambling houses were already hurting, what with the spread of legalized gambling in surrounding states. By April, combined monthly gaming revenue had been declining on a year-over-year basis for 32 months. For most people, though, the newspaper headline told a happy story. An ordinary guy in a red cap and black hoodie had struck it rich, had beaten the casinos black-and-blue. It seemed a fantasy come true, the very dream that draws suckers to the gaming tables. But that’s not the whole story either. Despite his pedestrian attire, Don Johnson is no average Joe. For one thing, he is an extraordinarily skilled blackjack player. Tony Rodio, who succeeded Giannantonio as the Trop’s CEO, says, “He plays perfect cards.” In every blackjack scenario, Johnson knows the right decision to make. But that’s true of plenty of good players. What gives Johnson his edge is his knowledge of the gaming industry. As good as he is at playing cards, he turns out to be even better at playing the casinos. Hard times do not favor the house. The signs of a five-year slump are evident all over Atlantic City, in rundown façades, empty parking lots, and the faded glitz of its casinos’ garish interiors. Pennsylvania is likely to supplant New Jersey this year as the second-largest gaming state in the nation. The new Parx racetrack and casino in Bensalem, Pennsylvania, a gigantic gambling complex, is less than 80 miles away from the Atlantic City boardwalk. Revenue from Atlantic City’s 11 casinos fell from a high of $5.2 billion in 2006 to just $3.3 billion last year. The local gaming industry hopes the opening of a 12th casino, Revel, this spring may finally reverse that downward trend, but that’s unlikely. “It doesn’t matter how many casinos there are,” Israel Posner, a gaming-industry expert at nearby Stockton College, told me. When you add gaming tables or slots at a fancy new venue like Revel, or like the Borgata, which opened in 2003, the novelty may initially draw crowds, but adding gaming supply without enlarging the number of customers ultimately hurts everyone. When revenues slump, casinos must rely more heavily on their most prized customers, the high rollers who wager huge amounts—tens of thousands or even hundreds of thousands of dollars a hand. Hooking and reeling in these “whales,” as they are known in the industry, can become essential. High rollers are lured with free meals and drinks, free luxury suites, free rides on private jets, and … more. (There’s a reason most casino ads feature beautiful, scantily clad young women.) The marketers present casinos as glamorous playgrounds where workaday worries and things like morality, sobriety, and prudence are on holiday. When you’re rich, normal rules don’t apply! The idea, like the oldest of pickpocket tricks, is to distract the mark with such frolic that he doesn’t notice he’s losing far more than his free amenities actually cost. For what doth it profit a man to gain a $20,000 ride on a private jet if he drops $200,000 playing poker? The right “elite player” can lose enough in a weekend to balance a casino’s books for a month. For the casino, the art is in telling the skilled whales from the unskilled ones, then discouraging the former and seducing the latter. The industry pays close attention to high-level players; once a player earns a reputation for winning, the courtship ends. The last thing a skilled player wants is a big reputation. Some wear disguises when they play. But even though he has been around the gambling industry for all of his 49 years, Johnson snuck up on Atlantic City. To look at him, over six feet tall and thickly built, you would never guess that he was once a jockey. He grew up tending his uncle’s racehorses in Salem, Oregon, and began riding them competitively at age 15. In his best years as a professional jockey, he was practically skeletal. He stood 6 foot 1 and weighed only 108 pounds. He worked with a physician to keep weight off, fighting his natural growth rate with thyroid medication that amped up his metabolism and subsisting on vitamin supplements. The regimen was so demanding that he eventually had to give it up. His body quickly assumed more normal proportions, and he went to work helping manage racetracks, a career that brought him to Philadelphia when he was about 30. He was hired to manage Philadelphia Park, the track that evolved into the Parx casino, in Bensalem, where he lives today. Johnson was in charge of day-to-day operations, including the betting operation. He started to learn a lot about gambling. It was a growth industry. Today, according to the American Gaming Association, commercial casino gambling—not including Native American casinos or the hundreds of racetracks and government-sponsored lotteries—is a $34 billion business in America, with commercial casinos in 22 states, employing about 340,000 people. Pari-mutuel betting (on horse racing, dog racing, and jai alai) is now legal in 43 states, and online gaming netted more than $4 billion from U.S. bettors in 2010. Over the past 20 years, Johnson’s career has moved from managing racetracks to helping regulate this burgeoning industry. He has served as a state regulator in Oregon, Idaho, Texas, and Wyoming. About a decade ago, he founded a business that does computer-assisted wagering on horses. The software his company employs analyzes more data than an ordinary handicapper will see in a thousand lifetimes, and defines risk to a degree that was impossible just five years ago. He began playing cards seriously about 10 years ago, calculating his odds versus the house’s. More useful, for his purposes, is running a smaller number of hands and paying attention to variation. The way averages work, the larger the sample, the narrower the range of variation. A session of, say, 600 hands will display wider swings, with steeper winning and losing streaks, than the standard casino charts. That insight becomes important when the betting terms and special ground rules for the game are set—and Don Johnson’s skill at establishing these terms is what sets him apart from your average casino visitor. When casinos started getting desperate, Johnson was perfectly poised to take advantage of them. He had the money to wager big, he had the skill to win, and he did not have enough of a reputation for the casinos to be wary of him. He was also, as the Trop’s Tony Rodio puts it, “a cheap date.” He wasn’t interested in the high-end perks; he was interested in maximizing his odds of winning. For Johnson, the game began before he ever set foot in the casino. Atlantic City did know who Johnson was. The casinos’ own research told them he was a skilled player capable of betting large amounts. But he was not considered good enough to discourage or avoid. In fact, in late 2010, he says, they called him. Johnson had not played a game at the Borgata in more than a year. He had been trying to figure out its blackjack game for years but had never been able to win big. At one point, he accepted a “lifetime discount,” but when he had a winning trip he effectively lost the benefit of the discount. The way any discount works, you have to lose a certain amount to capitalize on it. If you had a lifetime discount of, say, 20 percent on $500,000, you would have to lose whatever money you’d made on previous trips plus another $500,000 before the discount kicked in. When this happened to Johnson, he knew the ground rules had skewed against him. So it was no longer worth his while to play there. He explained this when the Borgata tried to entice him back. Once the Borgata closed the deal, he says, Caesars and the Trop, competing for Johnson’s business, offered similar terms. That’s what enabled him to systematically beat them, one by one. So how did all these casinos end up giving Johnson what he himself describes as a “huge edge”? “I just think somebody missed the math when they did the numbers on it,” he told an interviewer. In a 50-50 game, you’re taking basically the same risk as the house, but if you get lucky and start out winning, you have little incentive to stop.So when Johnson got far enough ahead in his winning sprees, he reasoned that he might as well keep playing. “I was already ahead of the property,” he says. “So my philosophy at that point was that I can afford to take an additional risk here, because I’m battling with their money, using their discount against them.”According to Johnson, the Trop pulled the deal after he won a total of $5.8 million, the Borgata cut him off at $5 million, and the dealer at Caesars refused to fill the chip tray once his earnings topped $4 million.“I was ready to play on,” Johnson said. “And I looked around, and I said, ‘Are you going to do a fill?’ I’ve got every chip in the tray. I think I even had the $100 chips. ‘Are you guys going to do a fill?’ And they just said, ‘No, we’re out.’”He says he learned later that someone at the casino had called the manager, who was in London, and told him that Don Johnson was ahead of them “by four.”“Four hundred thousand?” the manager asked.“No, 4 million.”So Caesars, too, pulled the plug. When Johnson insisted that he wanted to keep playing, he says, the pit boss pointed out of the high-roller pit to the general betting floor, where the game was governed by normal house rules.“You can go out there and play,” he said. Johnson went upstairs and fell asleep.These winning streaks have made Johnson one of the best-known gamblers in the world. He was shocked when his story made the front page of The Press of Atlantic City. Donald Wittkowski, a reporter at the newspaper, landed the story when the casinos filed their monthly revenue reports.“I guess for the first time in 30 years, a group of casinos actually had a huge setback on account of one player,” Johnson told me. “Somebody connected all the dots and said it must be one guy.”The Trop has embraced Johnson, inviting him back to host a tournament—but its management isn’t about to offer him the same terms again. (Even so—playing by the same rules he had negotiated earlier, according to Johnson, but without a discount—he managed to win another $2 million from the Tropicana in October. )“Most properties in Atlantic City at this point won’t even deal to him,” Rodio says. “The Tropicana will continue to deal to him, we will continue to give aggressive limits, take care of his rooms and his accounts when he is here. But because he is so far in front of us, we have modified his discounts.”Johnson says his life hasn’t really changed all that much. He hasn’t bought himself anything big, and still lives in the same house in Bensalem. But in the past year, he has hung out with Jon Bon Jovi and Charlie Sheen, sprayed the world’s most expensive bottle of champagne on a crowd of clubgoers in London, and hosted a Las Vegas birthday bash for Pamela Anderson. He is enjoying his fame in gambling circles, and has gotten used to flying around the world on comped jets. Everybody wants to play against the most famous blackjack player in the world.But from now on, the casinos will make sure the odds remain comfortably stacked against him. 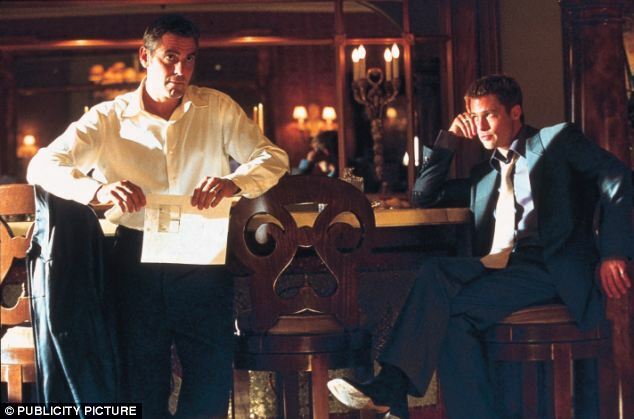 Danny Ocean might not give them many points for drama.But when it came to success, two conmen in Australia were very much on the money – £20million of it, to be precise. The tricksters stole the astonishing sum from a casino with nothing more complicated than a £3 earpiece and a computer. They used the building’s own security cameras to pull off one of the biggest-known casino stings ever. And while it lacked the pyrotechnics of heist film Ocean’s Eleven, it was planned just as carefully. 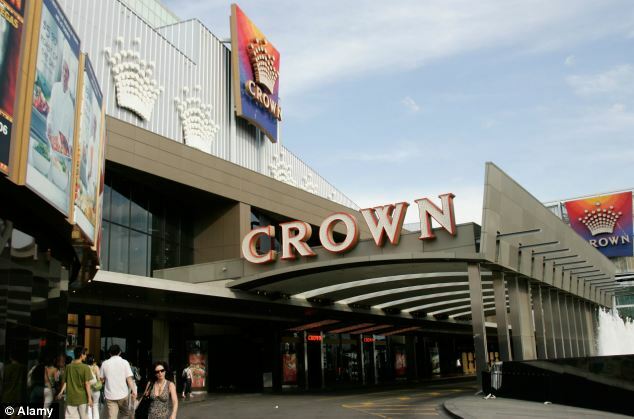 The fake punter, who is not thought to be Australian, had staked out the Crown Casino in Melbourne, where he was known to staff as a ‘whale’ – a gambler who bets huge sums. On the night of the sting he was allowed much sought-after access to the casino’s VIP high rollers’ room. 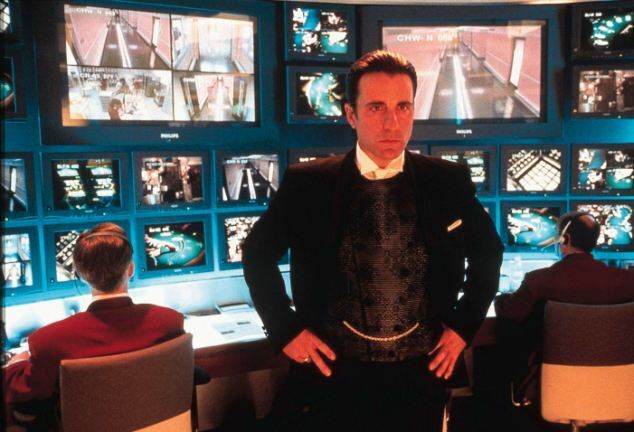 After playing just eight hands of poker he scooped the table and made a fortune – courtesy of the casino’s own high-tech security cameras, which can watch every hand held by a gambler and record every card played. As usual, the images were carefully monitored in a separate room, and nothing untoward was spotted. But the gambler’s seemingly telepathic skill – and his huge win – aroused suspicion, and casino bosses called in security experts. Meanwhile, the man was allowed to cash his winnings and return to his £1,000-a-night quarters on the executive floors of the Crown Towers, where he was staying with his family. Staff soon discovered that remote access to the VIP room’s security system ‘had been given to an unauthorised person’. The conman’s partner was watching images from the hidden cameras monitoring the gaming table, and telling him what hands the other players were holding via his earpiece. Staff confronted the man in the middle of the night, and ordered him and his family out of the building. The casino claims he has left the country – but refuses to reveal why the foreign gambler was allowed to go with his illegal winnings. Police said no official complaint had been made. According to reports, he has been banned from the casino, and a member of staff who looked after VIP guests has been sacked. A spokesman claimed the casino was confident of recovering a significant portion of the stolen money. Ocean’s Eleven was released in 2001. The film stars George Clooney as Danny Ocean, a conman who plans to rob three Las Vegas casinos simultaneously in an elaborate heist. The biggest High Roller casino players in the world. They are fearless gamblers… They play Baccarat, the richest game in the casino… They are billionaires… They can bring the house down with a single winning streak… They are La Crème de la Crème of casinos all around the world… They are the Casino Whales also known as High Rollers. – They are generally billionaire and certainly high net worth individuals. – All have instant credit line of $1 000 000 to $5 000 000. Their credit lines can even be extended up to $20 000 000 to $25 000 000. Just enough to have a nice weekend. – Whales gets royal treatments from big casinos. US Visa for Asian high rollers, private jet, the best hotel suites, personal chiefs, gourmet food, caviar, champagne, fine wines, free show tickets, expensive gifts, butler service, personal chauffeur, limousine rides, and whatever they want… Everything is free for the whales. Money attracts money! – Gamble around $10 000 to $1 000 000 per bet. Chump changes for them. No one play at the same table as them. – Usually accompanied by their own entourage (bodyguards, beautiful girls and close friends). – Extremely generous. Whales plays big and tips big! 3- The Sultan of Brunei – The World’s Richest Royal, once the Richest Man in the World, as an absolute monarch he controls a fortune of $25 Billions. 2- Adnan Khashoggi – Notorious Saudi Arabian multi-billionaire arms dealer is a world-famous casino whale who plays Blackjack and Baccarat. Sometimes accompanied by an entourage of a dozen people. Impressive! Just think about it, a single gambler able to sink an entire casino. 1- Kerry Packer – The Undisputed King of Casino Whales and High Rollers is none other than Kerry Packer. Known to play $450 000 per Blackjack hand and for his $1 000 000 tips to waitresses. Kerry Packer dwarfed everybody, he played for forty years at the higher stakes. Has been seen throwing bets up to $375 000 a hand while playing seven blackjack hands at a time. The high rollers’ favorite game is Baccarat. And they second favorite game is Blackjack. Since both games offers low casino edge. Some high rollers play roulette, craps, and Pai Gow but the real action goes in the private no-limit Baccarat rooms. Baccarat is their game of choice. And the “hit and run” (take the money and go) tactic is also a favorite tactic of the high rollers. Even on gambling vacations, most of them are business savvy. Other whales worth of mention but who still couldn’t make weight with the Big Three. Mexican businessman Kamel Nacif, Hustler founder Larry Flynt, Baccarat icon Akio Kashiwagi, Mo Chan, Jimmy Goldsmith, “Fat Man” Fouad al-Zayat, Malaysian tycoons Tan Sri Lim Kok Thay and Quek family members, Indonesia’s Putera Sampoerna, Charles Barkley, Bruce Willis, Dennis Rodman, Tiger Woods, Roger King, William Lee Bergstrom, Nick Dandolos, John Daly, Robert Maxwell, Fouad Al-Zayat, Quek Leng Chan, Ahmed al-Reyaysa, Los Angeles Lakers Jerry Buss, William J. Bennett.